Recently, Chris Hives (University Archivist at the University of British Columbia) was “pleased to report that the Retrospective Theses collection in cIRcle [UBC’s Digital Repository] now includes full text copies of essentially all theses written at UBC between 1973 and 2007. This represents over 25,500 titles and approximately 4.24 million digitized pages.” As the final phase of this historical project gets underway, it will mean approximately “6,500 more titles [will be added] to the repository”. This project is likely to be completed by the end of 2011. Find out more information about the UBC Retrospective Theses and Dissertations Digitization Project and its progress. 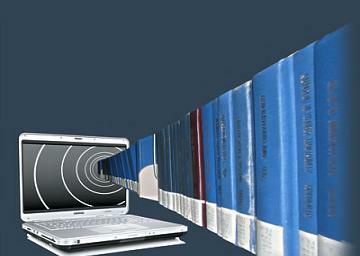 To browse some of the latest titles, visit the Electronic Theses and Dissertations (ETDs) 2008+ collection in cIRcle. To browse some of the historical titles visit the Retrospective Theses and Dissertations collection in cIRcle. Above partial excerpt is courtesy of Chris Hives, University Archivist in the Irving K. Barber Learning Centre. Above image is courtesy of UBC Library’s University Archives website. The first 100 UBC theses are also available in cIRcle and date back to 1919. The first thesis by Ruth Vivian Fulton is called, A study of the estimation of iron and the separation of manganese from iron by phenyl-nitroso-hydroxylamine ammonium (cupferron). It was also the first UBC thesis in Arts and Science.